Counselling is a confidential process, so if you refer yourself, no one else needs to know you are attending. All information shared in the process of counselling will be treated in confidence. No personal information will be shared with anyone else, without the client's permission unless particular and exceptional legal situations arise. Counselling is about exploring any worries, anxieties, problems or feelings that you feel are interfering in your everyday life. These issues may be in the here and now or in the past. It is an opportunity to be heard, a place for self discovery, and to be supported in reaching your own decisions and conclusions. What do people talk about in counselling sessions? As a counsellor and hypnotherapist I am used to hearing about all kinds of issues – nothing is taboo. Typically topics might be anxiety, depression, relationship difficulties, group dynamics, bereavement, suicidal feelings, sexual identity, abuse issues, mental health issues, problems with self image. Everyone has different needs, so there are no hard and fast rules. Everyone has an initial assessment session, and some people find that one session is enough. If you need longer you can book sessions in sets of six. Most people find that between twelve and eighteen sessions meets their needs. Are my problems "important" enough to need counselling? 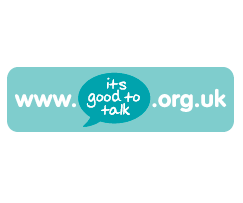 No problem is too big or too small to take to counselling – if it is bothering you then it is worth sharing. No issue is ever trivial, too great or too small. If it matters to you, it matters to me. A list of common topics can be found on the Services page. 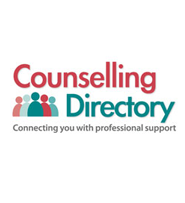 Relationship difficulties or 'attachment issues' - or the ways we find ourselves relating to others, is commonly brought to the counselling process. As individuals, we each have our own unique ways of communicating and engaging in relationships, some of which may, inexplicably, become problematic and give rise to tension and distress within our relationships. Counselling can help you see things more clearly, perhaps from a different perspective. It can enable you to make choices and reduce confusion. It does not involve giving advice or directing you to a particular course of action. An Initial Assessment will provide an opportunity to share your difficulties and for us to think together about your hopes and expectations and about what you might want from any counselling and whether it is the most appropriate way forward. A few very particular situations may be referred to more specialist help. Yes. I am a member of the British Association for Counselling and Psychotherapy (BACP). As such I am bound by their ethical framework and subject to their Professiona Conduct Procedures. What happens if you think your services are not appropriate for me? In that is the case, I will recommend alternative approaches that you may want to consider. Where does my therapy take place? Your therapy will take place in purpose built office premises. I work full time, how flexible are your appointment times? Therapy appointments are available from 8:30AM until 8:30PM. Saturday appointments are available from 9:00AM to 4:00PM. I also offer some early appointments, contact me for details. Is there off- road parking? Yes. There is off-road parking at the premises. How do I know my counsellor is working professionally? 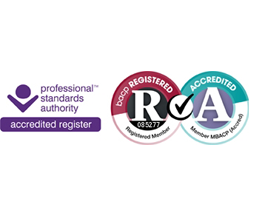 Counsellors and hypnotherapists receive regular supervision and have to comply with the ethical codes of British Association for Counselling and Psychotherapy (BACP). Can I be sure that my details remain confidential? unless in exceptional circumstances such as child protection. Any records are kept securely on site at all times and remain confidential. I comply with the Data Protection Act which is managed by the Information Commissioners Office (ICO). Is it dangerous? Are there any side-effects? In the hands of an expert, hypnotherapy is a completely natural and safe. Generally, the side effects noticed are that children report feeling happier and more confident than before. Hypnosis is a natural state of heightened awareness of the mind. It is associated with deep relaxation and focused inner attention. Hypnosis is a natural state we experience everyday. We are not aware of this because we generally call it something else. Examples of the state of hypnosis are: being really absorbed in watching a movie or reading or doing an activity or hobby in sports, people use the term ‘being in the zone’, or in music or the arts they talk about the ‘muse’ that place between being awake and asleep In some ways hypnosis is similar to meditation, because both involve an heightened state of consciousness and a degree of relaxation. However, the main difference between the two is, in meditation you generally rise above your problems and drift and float and experience a sense of peace, whereas in hypnosis you generally narrow down your field of concentration to accomplish a specific purpose. Is hypnosis a form of mind control? No. You are in control at all times. You will not accept any suggestions that you do not want to accept. Nobody can suggest you do anything during or after hypnosis that you do not want to do. What is hypnotherapy and why should I see a hypnotherapist? Hypnotherapy is the use of hypnosis, with forms of psychotherapy, for a therapeutic purpose. Hypnotherapy, performed well, can be a very useful treatment modality for many specific conditions. It is an effective way to change our habits (eg for weight loss, quit smoking etc), change the way we feel about ourselves (eg confidence, motivation, public speaking etc), change the way we respond to our environment (stress, anxiety, depression, panic attacks, phobias etc). Seeking therapy from a hypnotherapist can be a very effective and pleasant way to achieve your desired outcome. Hypnotherapy does not have the side effects that tablet medication does. Before seeking hypnotherapy for symptom relief or a medical condition, you should always make sure you have been properly assessed and diagnosed by your own GP or specialist before seeking help from a hypnotherapist. This is to make sure other important conditions have been excluded. Most therapy treatments take three to five hour-long sessions. However, there can be individual differences. Smoking cessation sessions are a one-off and take about 90 minutes. Please note - Fees are payable per session. Discount available for sessions booked as a set. All hypnotherapy clients to receive initial consultation free of charge. Yes. Hypnosis and hypnotherapy in a therapeutic setting are perfectly safe. In the state of hypnosis, nobody can suggest you do anything you do not want to do. You are in control at all times. You will only accept suggestions made during hypnosis that you want to accept and that are right for you. There are two parts to our minds, the conscious and the unconscious mind (also known as the subconscious mind). Often a problem or an issue or a difficulty in changing something like a habit (eg smoking or over eating) is because of a conflict between the conscious and unconscious mind. If there is a conflict between the conscious and unconscious mind, the unconscious mind almost always wins. The unconscious mind is the storehouse of our memories, habits, behaviours, values, beliefs, emotions, and self-image. In hypnosis we can communicate directly with the unconscious mind, without our logical, intellectual conscious thoughts getting in the way. By influencing the unconscious mind during hypnosis we can bring about a change. What's the difference between the conscious and unconscious mind? The conscious mind is the part of our mind we are consciously aware of. The conscious mind is our interface with the outside world. The conscious mind is critical, judgmental, goal directed, goal perceiving, solves problems, protects us from unwanted consequences by weighing up information and deciding on a course of action. The unconscious mind is a collective term which covers all the mental processes that are operating outside of our immediate conscious awareness. The unconscious mind is larger than the conscious mind, and is thought to account for about 95% of mental processing. The unconscious mind is the repository for our memories, beliefs, habits, values, self image, emotions, and controls bodily functions (via the autonomic nervous system) eg heart beating, temperature regulation, breathing, and bodily movements required for everyday activities. The unconscious mind can be said to be everything that we are, but are not aware of. What does hypnosis feel like and will I know what is happening? Hypnosis is a pleasant feeling of relaxation and increased mental focus. Some people, unfortunately, expect they will go through something different, new or spectacular in hypnosis. They think hypnosis is being asleep or being unconscious or being anaesthetised. This is simply not the case. Do not expect to go to sleep or lose touch with reality. Hypnosis is simply a heightened focused mental alertness and deep relaxation. Your mind becomes clear and you can pay close attention to one thing at a time. It is a very pleasant experience. Yes. Anyone can be hypnotised as long as they agree to be. A hypnotherapist cannot force anyone into hypnosis against their will. Can someone be hypnotised against their will? No. No one can be hypnotised against their will. You are in control at all times. You cannot accept or do anything you do not want to do. Will I be asleep and will I remember what happened? Hypnosis is from the Greek word ‘hypnos’ meaning sleep. This is an unfortunate term, because hypnosis is not sleep. However, sometimes, because of the deep relaxation brought about during hypnosis, some people do drift in and out and feel "dream like". This is generally not a problem, as the unconscious mind is still listening to the words and suggestions the hypnotherapist is making. You will remember as much as you would normally remember following a normal conversation. You will remember most things, but not necessary all things that were said. This is just the way our memories work. For example, when you listen to someone talking, you may remember some things that were said, but not normally every single word that was said. Will I lose control and will all my secrets come out? You are fully aware of everything during hypnosis, so you are in just as much control as you normally would be. You have control at all times. If there is something you do not wish to share with your hypnotherapist, then you do not have to. During hypnosis you have the control to say whatever you wish and it is perfectly fine to say you do not wish to discuss something. Whatever you discuss with your hypnotherapist, whether in or out of hypnosis, as far as the law allows, is strictly confidential between you and the hypnotherapist. Will I wake up from hypnosis? Yes. You can come out of hypnosis anytime you choose, with or without a hypnotherapist being present. Will hypnosis compromise my religious beliefs? No. There is no reason for hypnosis to compromise your religious beliefs. Hypnosis helps you make the change you want. Many people with various backgrounds and beliefs have benefited from hypnosis. Hypnosis is a much misunderstood process. There is a lot of mis-information and fear about hypnosis. For example, some people like to portray the image that hypnosis is a form of mind control, and that they can get you to do things against your will, or you are unconscious or anaesthetised during hypnosis and it will weaken your mind. This is ALL false. However, because of the unfounded myths about hypnosis from its history and the perpetuation by popular entertainment and stage hypnotists, some people, understandably are afraid of hypnosis. This is very unfortunate, as it is a very natural and effective way to bring about a lasting and beneficial change in someone’s life. People are right to be wary. There are a lot of charlatans in every walk of life who make bold claims and are only too happy to take your money. Hypnotherapy, though, is a recognised science. Sadly, there remain a few unscrupulous and unqualified practitioners, however, legislation is being drawn up to allow only suitably qualified professionals to practise. In the meantime, I would recommend anyone seeking the help of a hypnotherapist to consult a member of the National Council for Hypotherapy (NCH). 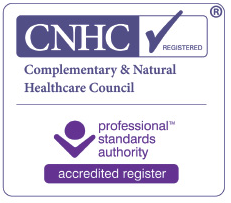 For the record, I have a BSc degree in psychology (University of Derby) as well as the diploma in The Diploma in Clinical and Advanced Hypnosis(Dip.CAH),Hypnotherapy Practitioner Diploma (HPD), NLP Practitioner Certificate (PNLP), Ericksonian Hypnotherapy Practitioner Certificate, Certifications in Smoking Cessation and Treating Anxiety, I am also a full member of the NCH. Hypnotherapy is a natural and safe treatment. It is important that this stage is focused on talking to them … rather than just asking you questions about them … to reassure tem that they are the important person in the room and their opinion count. When I need extra information I usually ask the child’s permission if it is alright if I ask mum or dad a question. There will always be positive suggestions in some form and a boost to their confidence in addition to work to overcome their problem. Do you put them to sleep? Do they 'go under'? Do you ‘mess with their minds’? Children are encouraged to relax, feel at ease and a little day dreamy but they do not go to sleep and they do hear everything that is said. It may be that their attention wanders from time to time as they become more and more comfortable but that is fine. They will hear and remember everything that needs to be remembered, although, just as when waking from a dream, they may not consciously remember every word said. ‘Going under’ is a very misleading term and comes from stage shows and films and has no place in the therapy room with children. What happens if they drift off to sleep? I would simply suggest that they wake up. Hypnosis is about being relaxed not asleep. Can hypnotherapy force children to do something against their will? Absolutely not. That is why it is always important that your child is not brought to see me or anybody else against their will. I am always happy to talk to them and answer any of their questions. As a member of the British Society of Clinical Hypnosis I sign a code of ethics so you may be reassured that any suggestions given are positive and directed to help them achieve their aim. Do they get any kind of support outside the session? Normally, if it is appropriate (and it usually is), they are given a recording of the hypnotherapy part of one of the sessions so that they can use it at home to reinforce what we do in the treatment session. I regard this as an integral part of the therapy and regular listening to their CD will speed their progress. Normally I suggest they listen every night when they go to bed because this is a time when they begin to wind down anyway. Children who have previously experienced difficulty with sleeping find that they are drifting off to sleep far more quickly and comfortably than before. If they are so tired that they drift off to sleep as soon as they begin to listen, I suggest that they listen in the daytime just relaxing in a chair. This depends on what the problem is but, in general, hypnotherapy is thought of as a brief strategy with lasting results and most people attend for between two and four sessions. Some issues need only one and others more. We cannot specify in advance exactly how many sessions they will need as it depends on their individual progress but we can give you an estimate based on general response. After each appointment, I will discuss your child’s progress and make a recommendation. They are never asked to come for more sessions than you and I jointly decide they need. How much do one-to-one sessions cost? The cost of children is the same as the cost for adults £40.00 per hour session. Whichever is most convenient to you; cheque, cash or paypal. How do I go about making an appointment and how long do sessions last? How do I know if a therapist is reputable? How can I find a good therapist? Always ask your therapist about their qualifications and experience with children; no reputable therapist will mind. You should find someone who has completed a full course and been awarded a Diploma In Hypnosis from the London College of Clinical Hypnosis or similar body. You can find them on the NCH website. For children, it is especially important not only to ensure that your practitioner is well qualified but that they also have specific experience with young children and teenagers.